Rob Ragsdale, AIF® is a partner at Balentine and works as a Senior Relationship Manager serving individuals, families, and institutional clients. Rob manages Balentine’s Raleigh office and oversees the firm’s Endowment and Foundation Practice. Rob has achieved the designation of Accredited Investment Fiduciary (AIF®) and brings a wealth of financial, compliance, and tax knowledge to Balentine clients. 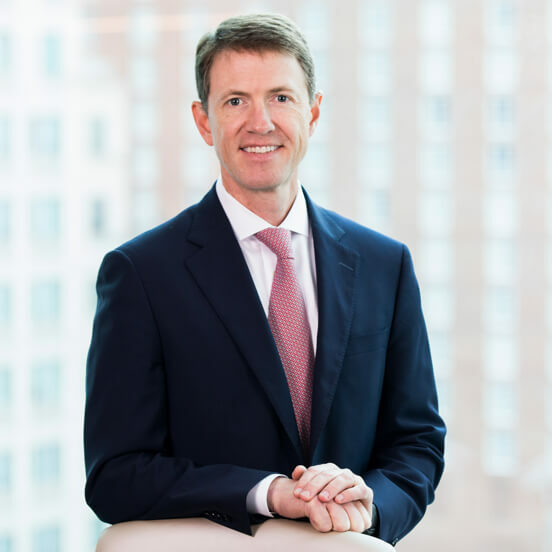 Before joining Balentine, Rob was a relationship manager at Franklin Street Partners in Chapel Hill, NC, serving as an investment advisor to both private and institutional clients. His tenure in the investment industry spans more than a decade, managing relationships throughout the United States and overseas. I joined Balentine a year after the firm opened its doors. I was attracted to the people, the conflict-free business model, and the opportunity to really make a difference in this market. We have a unique combination of a deep team with an unconflicted business model that has a track record of outperformance at attractive costs with world-class client service. My goal is to enable clients to focus on their highest and best use of time—whether it be running a company, disbursing grants, or spending time with family. Walking out of a client meeting knowing that I have really made a difference. I follow college sports, football and basketball, in particular. I have run over a dozen marathons, enjoy playing high handicap golf, and try to coach my kids’ sports as I am able. I enjoy hunting and fishing, as well, but I don’t do as much of that as I would like in my suburban existence.